Farzanabanu Iquabal Husain is an illiterate woman, but she is farsighted, and that encouraged her initially to save with Saath Savings and Credit Cooperative Society Ltd (SSCCSL). One of the oldest members of SSCCSL, she has developed into someone, who takes loans for productive purpose, from one, who used to take loan for purpose of consuming. She started saving with Saath those days, when organization went door to door to encourage people to save even INR 1 or 2 every day. It had a branch right at the heart of market in her area Juhapura, where women would come every day to purchase vegetables, fruits etc. Farzanaben never worked to earn, but she would save some money from the amount her husband would give her to run the house. Some times INR 20, or INR 25. She would take the money and deposit it with SSCCSL’s Juhapura Branch every day. Almost ten years on, now she saves INR 100 per month in Compulsory Savings Scheme, and has also opened accounts of INR 200/Month each, for both of her children in the Child Plan Scheme. Never been a defaulter, she has always been made the group leader of her JLG (Joint Liability Group). Endorsing JLG model, she says it is very good for poor, who don’t have precious things to mortgage, but can always be encouraged to practice solidarity in their collective efforts to rise above poverty. She remembers how once she did not have money to pay the installment due to death in the family, but a neighbor of hers gave the money she had kept aside to pay the installment in coming two days. Farzana off course returned her the money next day, but the bond between the two strengthened, and they had set an example for other groups as well! She availed first loan of INR 5000, which for consumption purpose, and then she availed a credit of INR 10,000, for the religious ceremony of her daughter. But her next loan of INR 15,000, was for a productive purpose to purchase a peddle lorry for husband. She plans to enter fourth cycle of loan in coming two years, again to invest in a productive purpose. She wants to by a goods carriage vehicle for her son, who is currently sixteen years old. Three cycles of Loan from Saath Savings and Credit Society Ltd (SSCCSL) paced up Jasodaben Bhalabhai Dhabi’s journey from a piece-rate worker to an entrepreneur. To make the two ends meet, she ended up stitching bags for a business man at Ahmadabad, after trying many odd jobs. Pulling on life with her husband and two sons was tough. Amidst all this, owner of the factory announced that he would close the factory, but the women could use it provided they could manage work from the market, and pay the rent for the place. Jasodaben and other women accepted the challenge, and ran the factory for two months. 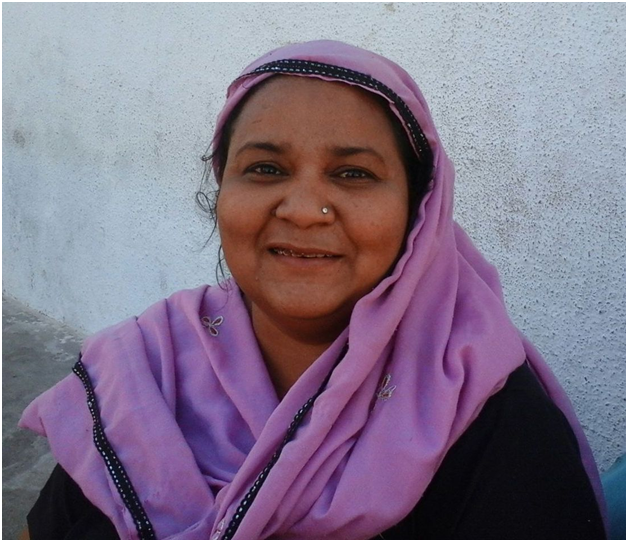 Filled with confidence, Jasodaben spoke with Gauriben, Field Worker of SSCCSL working in her area. She suggested her to become a member of The Saath Savings, and Credit Cooperative Society Ltd, save with it, and avail the facility of credit. The suggestion inspired Jasodaben to become owner of her business. She started saving with SSCCSL and in the year 2006, availed a loan of INR 5000, to buy her first sewing machine, and started getting work from the market. She also started stitching dresses. Gradually she entered the second loan cycle to buy two more machines. She would now prepare a sample dress, and show it to the readymade garment business owners, incorporate their inputs, make final sample, get it approved, and take bulk orders. She would buy cloth in bulk, hire a master cutter, and master tailors, and other tailors, both men and women, and get the order stitched, get the dresses ironed, get the packaging done, and deliver the order at the market. She rented a place, and also started giving work to home based workers. 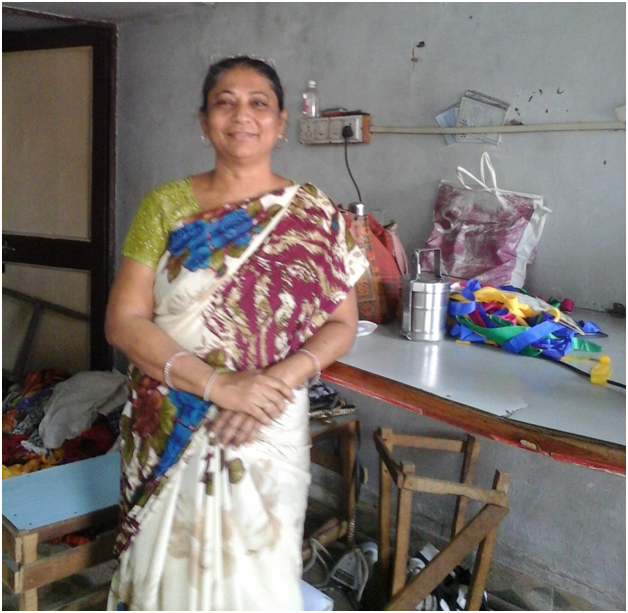 As her work increased, she entered the third cycle of loan at SSCCSl, and availed a loan of INR 60,000. Her husband was guarantor, but he passed away barely after paying first installment of loan. Thanks to the insurance cover provided to the loanees by SSCCSL, the insurance company paid her loan, and she was saved from becoming a defaulter. Her husband’s death destabilized her for some time, but she bounced back, and picked up the threads of her life again. Jasodaben now has six machines at her factory; she has also purchased equipments necessary for the business, and has hired a master cutter, Abdulbhai. She also gives employment to 10 other men women, who earn average INR 4,000 to 4,500 a month through her. She says she is helping other women to build their capacities, without fearing a competition from them. She says there is ample work available in market for all of them. Jasodaben is shifting her factory to a bigger place. Looking back, she says Saath played a crucial role in developing her into a, entrepreneur, and brought sense of security, and pride to her life. Two of her sons are now settled, and doing their own work. They ask Jasodaben to retire, but at the age of 46, she has no such plan! She is just 25 years old mother of three children, and a home based Patang (Kite) maker. Studied up to 7th only, she was lucky to have a mother, who instilled qualities of hard work, and every day saving in her. But she was luckier than her mother, who would save in an earthen piggy bank, to have Saath, which would give her a competitive interest, safety, and facility of bank at her door step. She was married in a big joint family when she was just 15, and had to give up kite making then. But two years after her marriage when her first daughter born, the joint family got divided, she set up her home with her husband, child, and mother-in-law. She resumed kite making again. She made 2,000 kites a day and earned average INR 200/- a day in initial period. Besides this, her husband gave her INR 100 everyday for household expense, she saved from both. At market in Juhapura area, she witnessed women entering and coming out from SSCCSL’s branch office. One day she walked in to inquire, and opened her Compulsory Saving Account with SSCCSL. She started saving INR 50 every day. From the money she saved, she made two fixed deposits of INR 3000 and INR 5000. She had opened accounts of her daughter and son under Child plan Scheme of SSCCSL and saves INR 200 in each account every month, besides saving in Compulsory Saving Account. 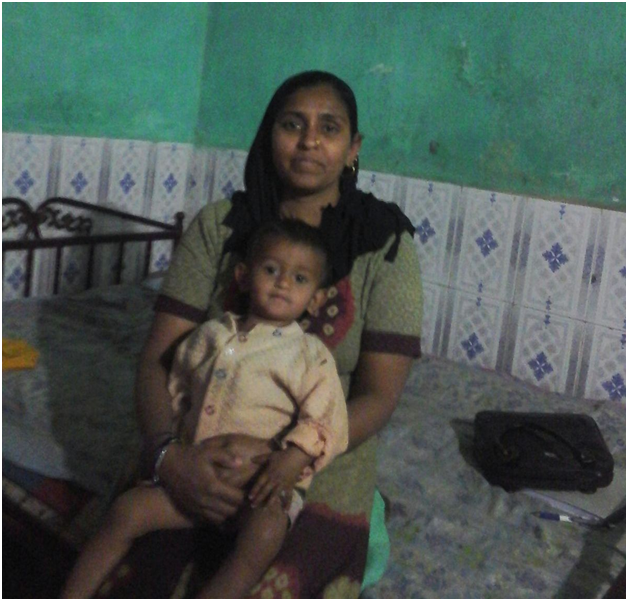 On suggestions of Saath staff, instead of withdrawing her savings she availed her first loan INR 5000 for her daughter treatment. She suffered from typhoid fever. Her second loan of INR 15,000 was for repairing her house and her third loan was again for her daughter to pay her fees at an English medium school. Her third child is one year old and she now makes 1,000 kites instead of 2,000 kites. This work is available 10 out of 12 months. During two months of unemployment in kite industry, she also takes rest but saving she still does from the money her husband gives her for daily household expenses. A member of Saath Savings and Credit Cooperative Society Ltd (SSCCSL) since last eight years, she says not even once she thought that her money was not safe with Saath, as the staff and the members are the people living around them and always stands by her in her bad times.